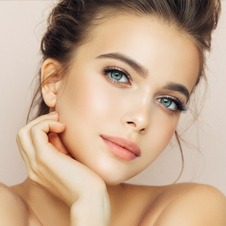 Koger Cosmetic Clinic & Medspa offers plastic surgery after weight loss for men and women in Palm Beach County, including West Palm Beach, Vero Beach, Wellington, and the surrounding areas of Florida. Carrying additional weight takes a toll on your skin and your health. The skin suffers the loss of elasticity that assists in shaping your contours. When weight is lost, the skin does not always sustain its bouncy nature. Instead, it droops loosely from your arms, back, and thighs. Also, your breasts might sag lower on your torso. An everyday difficulty that a lot of people deal with following weight loss is getting rid of those stubborn cells of fat that are resistant to diet and exercise. These cells generate bulges and bumps in places where you would prefer to have perfect, smooth contours. Dr. Koger suggests plastic surgery for women and men after weight loss who desire a body that is finely tuned after dropping the extra weight. He may also suggest procedures for the face, breasts, thighs, arms, abdomen, and hips. Dr. Koger manages every individual with personal, unique goals for plastic surgery following weight loss. He suggests procedures that will provide you with the best results. When possible, Dr. Koger tries to combine as many procedures as possible to lessen the downtime and the recovery. During your consultation, he will explain the best plan for surgical treatment for you. Prior to considering plastic surgery following weight loss, you should evaluate your current weight in comparison to your ideal weight. If you desire to lose weight, Dr. Koger suggests that you put surgery off until your weight loss objectives have been attained. He makes this suggestion because you might have to have follow-up surgeries if you lose a substantial amount of weight. Plastic surgery after weight loss can be extensive, so we recommend that you meet with Dr. Koger to fully understand the nature of the procedures. 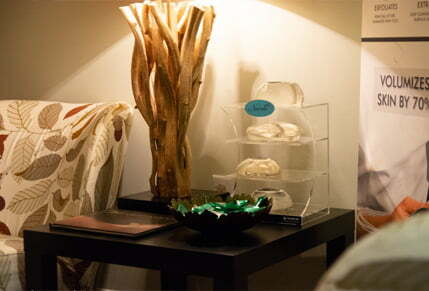 Plastic surgery after weight loss is performed in an outpatient surgical suite or hospital. You may need to stay in the hospital overnight. Please plan to have someone drive you home after you are released. In most cases, plastic surgery after weight loss requires general anesthesia. Your recuperation from plastic surgery following weight loss is dependent on the amount of procedures that can be accomplished in a single surgical appointment. Your recovery is a lot shorter if you are only obtaining a single procedure, such as just liposuction or a tummy tuck. Dr. Koger will discuss your recovery process during your consultation. Following the post-surgical instructions that are recommended by Dr. Koger ensures that your recovery is as short as possible and that the results of the procedures is as expected. It may take several months for the swelling to subside before you see the full results of your plastic surgery after weight loss. Once you are fully healed, you will see the problematic areas of your body now have a toned appearance. Plastic surgery after weight loss is highly customized, so we cannot discuss the cost prior to your consultation. In the meantime, please review our financing options. Dr. Koger is a board-certified plastic surgeon who offers plastic surgery after weight loss for residents of West Palm Beach, Vero Beach, Wellington, and the surrounding areas of Palm Beach County. Contact us to schedule a consultation.